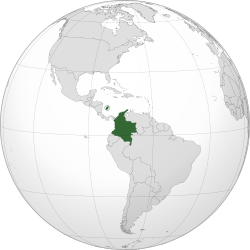 ↑ 1.0 1.1 "World Economic Outlook Database: Colombia". International Monetary Fund. अक्टूबर 2017. पहुँचतिथी 15 January 2018. ↑ "2016 Human Development Report" (PDF). United Nations Development Programme. 2016. पहुँचतिथी 29 मार्च 2017.